Beer and the neighborhood brewery have been important parts of San Francisco since the city began its working-class history. Back then, breweries and bars served as gathering places for the fishermen, the builders and the community — places to come together and to celebrate our city. Today, the brewery has maintained its status as the neighborhood living room while elevating the culture and the recipes of the craft beer industry ever higher. Today, we’re exploring the local breweries that encompass everything we love about our hometown: innovation, great food, welcoming atmosphere and, of course, craft beer. These are the best places in the city to combine homemade foods with homemade brews. Cheers! Founders Nico Freccia and Shaun O’Sullivan met while they were both pursuing their beer dreams right here in the Bay Area. Inspired by local, pre-prohibition era breweries, Nico and Shaun wanted to build a brewpub that was the neighborhood gathering place — a brewery that defined the flavor of the community. Today, 21st Amendment beers define the flavor of the entire city. Their summer seasonal Hell or High Watermelon Wheat has become well-known across the country. And, if you get a chance to stop in for pub fare or weekend brunch, you’ll understand why they’re one of the city’s best restaurants, too! Photo courtesy of Almanac Beer Co.
Almanac was founded in 2010 by Jesse Friedman and Damian Fagan on the ideals of farm-to-barrel brewing. This means they source the best in Northern California fruit and blend it into beer recipes that are inspired by the great brewing traditions of the world. From homebrewing to the San Francisco Taproom and Beer Garden, and across the bridge to their Alameda Barrel House, Brewery and Taproom — this team knows good beer. 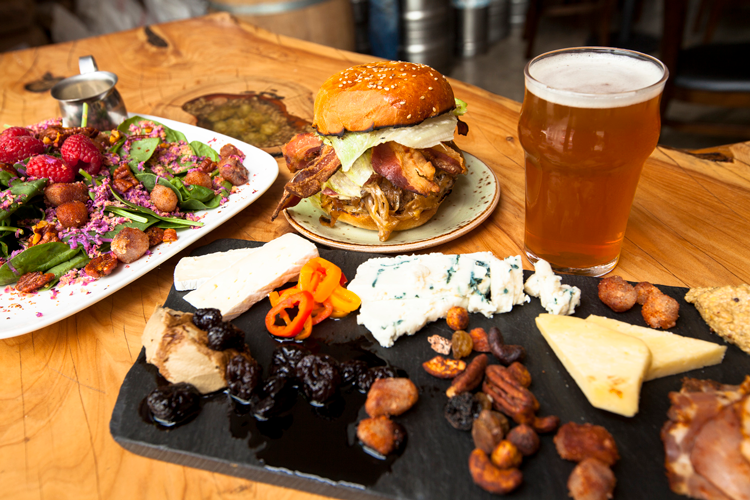 Stop in their Mission District taproom to find out just how well they know food, too! This modern, late-night brewpub offers more than 40 beers on tap, cocktails and American fare in an industrial-chic space. Whether you’re on the hunt for craft cocktails, craft beer, craft food or craft brunch, there’s something for you at Barrel Head. Striving to represent all the best things about San Francisco, Bartlett Hall fuses the city’s historic elements with its present-day lively personality through quality, comfort and craft. So when you stop in, you’ll find a strong San Francisco character and an atmosphere complete with beers brewed in-house, regional favorites, artisan cocktails, California wines and a menu of upscale bar food. 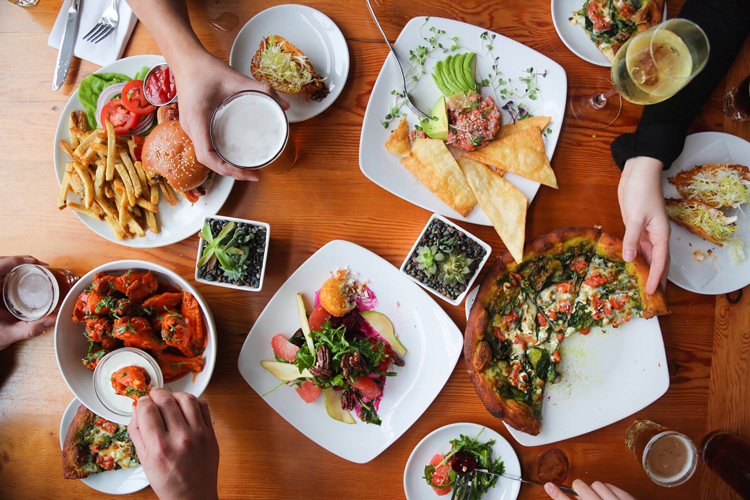 Located inside the grounds of Golden Gate Park and overlooking Ocean Beach, Beach Chalet is a favorite brewery and restaurant experience in the city for both locals and visitors. 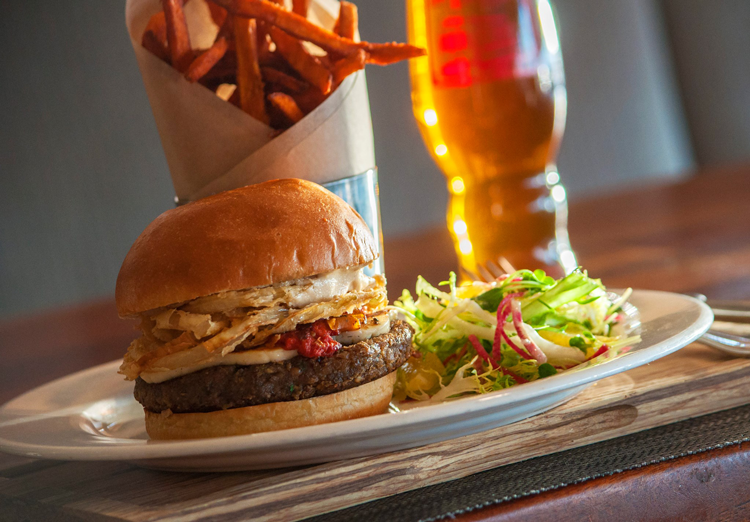 The food menu features everything from a Brewers Grain Vegi Burger made with spent grain to Grilled Pacific Swordfish and everything in between. Pair your upscale meal with an in-house brewed craft beer and you’ll soon love Beach Chalet, too! Black Sands was designed to bring the experience of homebrewing to the beer-loving public. Their bright, modern brewpub is wide open so you can watch your meal being made in the open kitchen, watch the team make beer in the open brewery, taste the brew fresh from the fermenters, see the recipe, and even leave with everything to make it at home. In addition to outstanding food, great beer and a welcoming environment, you can enjoy group brewing classes from head brewer Cole Emde himself! Photo courtesy of Jay Achs via Local Brewing Co. Co-founder, Brewmaster and Head Brewer Regan Long focuses as much on Local’s handcrafted beers as she does on the atmosphere and the brewery experience. She, Sarah Fenson and their team created a unique SoMa space, a destination brewery that offers great beer alongside a food menu of snacks, sandwiches and sausages. Yum! Magnolia Brewing Co. was recently acquired and saved by New Belgium Brewing out of Fort Collins, Colorado, but the story of this neighborhood brewery began back in the late 80s when Founder and Brewmaster Dave McLean embarked on an obsessive homebrewing hobby. Though Magnolia opened its doors in 1997, the company’s first beers were brewed in a one-bedroom apartment just six blocks down the street. 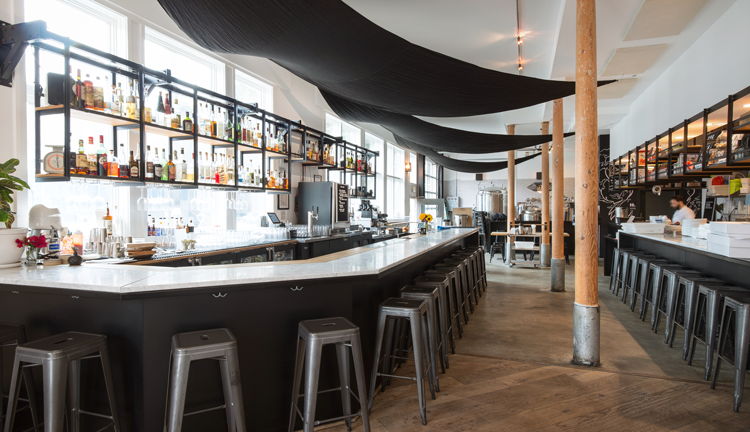 As the brewery grew, Dave and his team opened a second location in Dogpatch, Smokestack. And now, we can expect even more success from Dave and the New Belgium team. Old Bus Tavern offers humble, craft beer recipes in a bright, modern atmosphere alongside an upscale food menu and cocktail list. Through experimentation, Brewmaster Ben perfectly combines innovation with classic American and Belgian styles to create beers that are as approachable as they are innovative. If you’re looking for a different local favorite, the team’s fourteen taps feature a rotating selection of other regional craft beers and the cocktail menu reflects the team’s passion for whiskey and mezcal. Pair that with upscale comfort food and you’ll quickly have a new favorite in Bernal Heights! 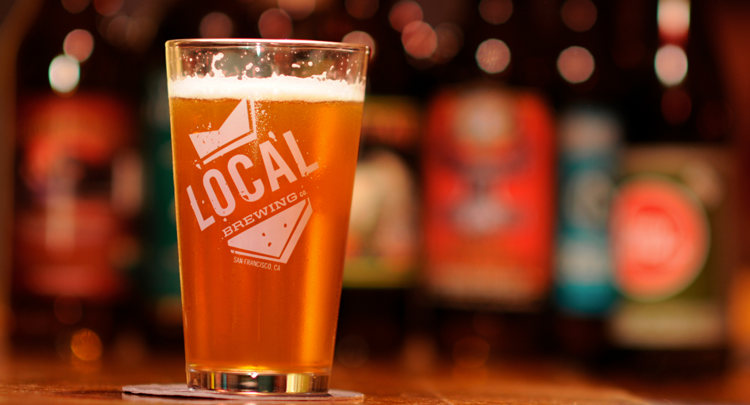 Each of Social’s complex and intricate beers is suitable for a flavor experience all its own. 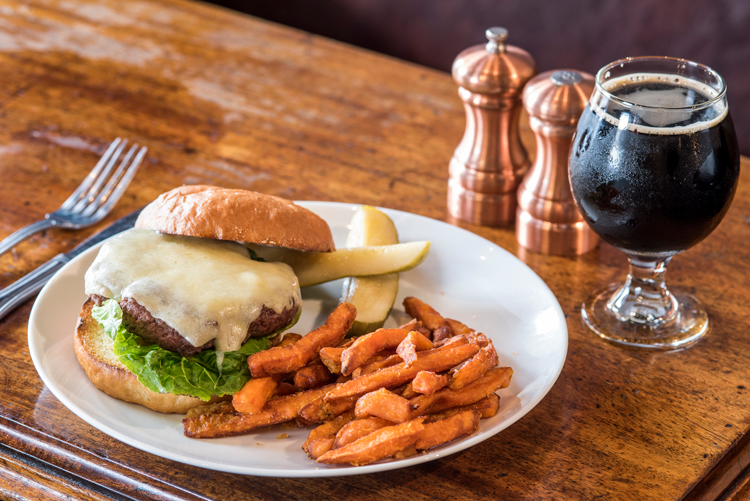 And when you pair that with an array of shareable plates or an upscale pub-inspired entree, you get a food and beer pairing you’ll come back for again and again. For example, Social’s Original Truffle Mac & Cheese is comprised of mozzarella, white cheddar, fontina, cream, peas, truffle oil and a crispy panko crust. Pair that with one of six in-house taps or seven guest taps and we’re sold. 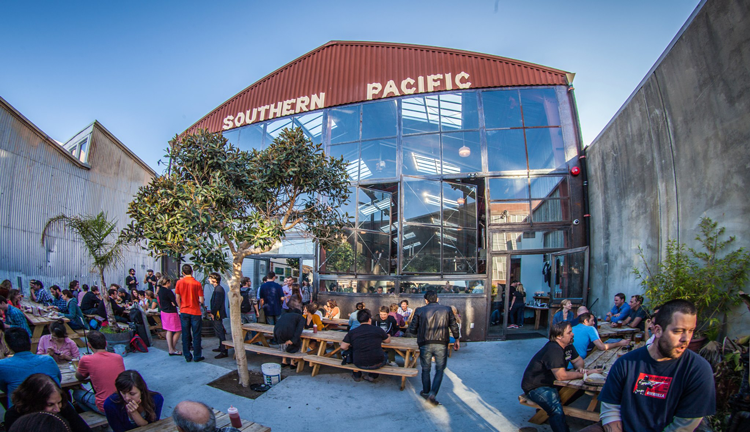 Photo courtesy of Southern Pacific Brewing Co.
Southern Pacific Brewing pays homage to its neighborhood and hometown roots through its name, its warehouse space, its handcrafted food and its true-to-style beers. With both an upper mezzanine and an outdoor patio, the brewery itself is as welcoming as the food and drink. 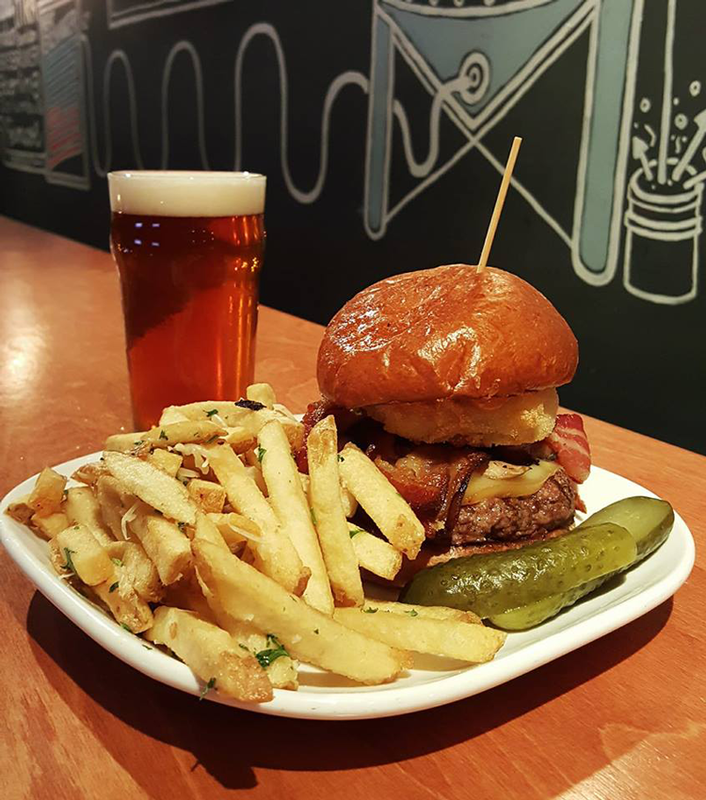 So grab a seat inside or out, order up your Brass Hat Burger with a craft beer and get ready to settle into your new favorite San Francisco brewpub. At Southpaw BBQ, they believe nothing goes better with Southern BBQ than a cold pint of beer and a glass of whiskey. And at this Mission staple, you’ll find just that: mouth-watering North Carolina barbecue with house-brewed beers and over 100 different whiskeys! The team behind this brewery and kitchen believes in their neighborhood and believes the Sunset deserves the best. So when you visit, you’re promised classic, in-house brewed beers, innovative craft cocktails and a California comfort food menu that features food created from scratch using local, seasonal ingredients. From the brioche buns to the ice cream, everything is made fresh daily! ThirstyBear is San Francisco’s first and only certified organic craft brewery. Offering an impressive lineup of sustainable pilsners, IPAs, stouts, Belgian-inspired ales, cask-conditioned ales, session beers and barrel-aged brews, they pair hand-crafted beer with critically acclaimed Spanish tapas. So, next time you want your craft beer served with authentic Spanish flair and an environmentally-friendly promise, pull up a chair at ThirstyBear. 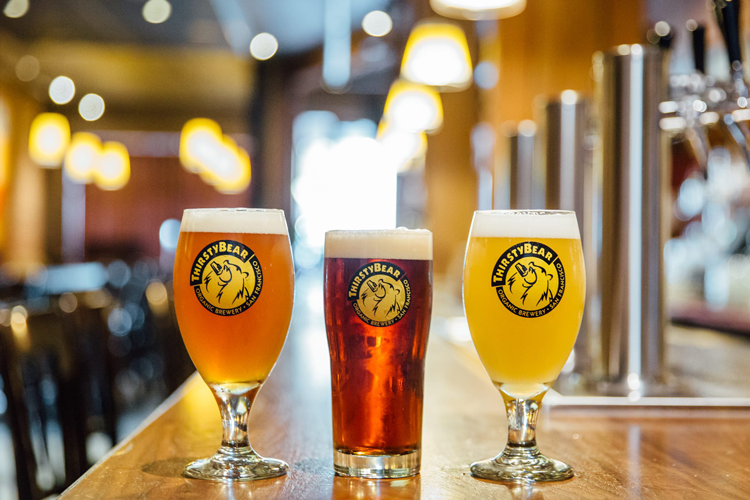 To learn the laugh out loud story behind the name ThirstyBear, check out our blog post How These Bay Area Breweries Got Their Names. 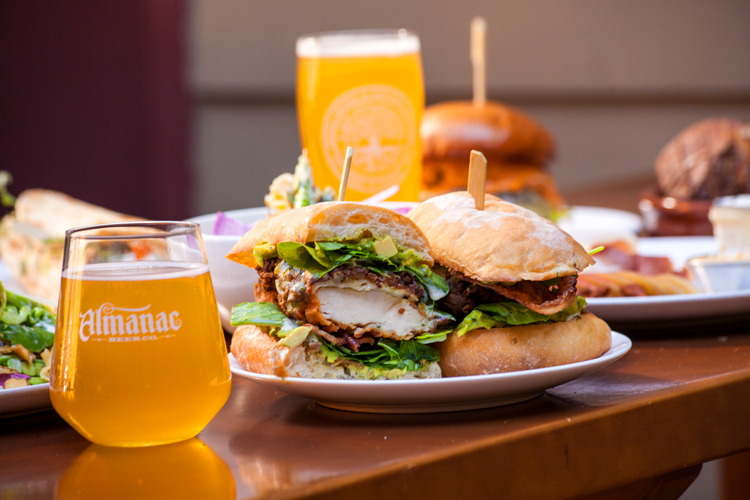 In the comments below, let us know which San Francisco brewpub is your favorite — even if it’s not on our list. And to explore more breweries in the city and outside of it, check out 32 Craft Breweries Within a 20 Minute Walk From BART.